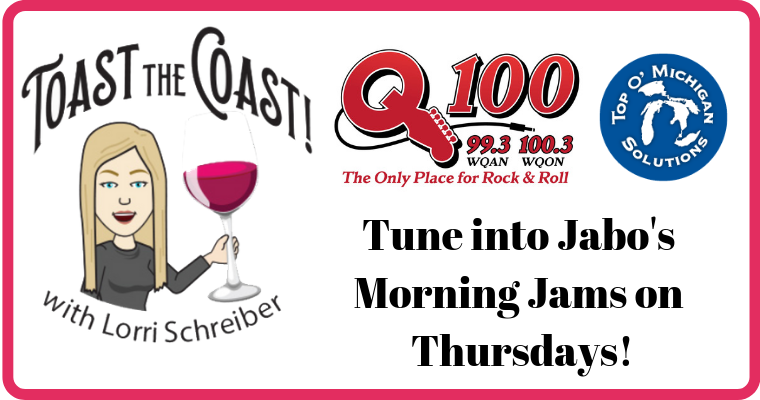 "Toast the Coast with Lorri Schreiber"
on Jabo's Morning Jams on Thursdays! 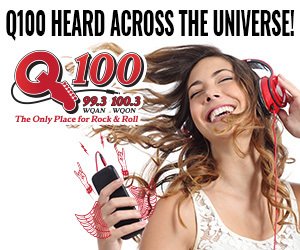 Answer some Wine Trivia and you could win a pair of passes to an event at the Leelanau Peninsula Wine Trails. The Traverse Wine Coast is made up of two peninsulas boasting 105 miles of coast that are surrounded by the protective waters of Lake Michigan. This unique coastal climate provides warm days and cool autumn nights, allowing fruit to optimally ripen creating exceptionally well balanced white and red wines that pair perfectly with food. Traverse Wine Coast produces balanced wines which are fruit forward, crisp, clean bright finishes which are the perfect match for foods of all styles.